Do you have a document that needs to be translated but you don’t have the time to go and get it done? Does this sound like you? Then, you’re in luck. 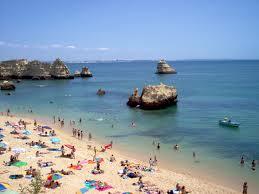 Sydney Translations is here to help you with Portuguese translation services. Experience full online Portuguese translation services in Sydney right now. Inquire online. Send your documents online and receive translations online. Are you interested? Follow these easy steps to get your translation done. First, complete the online enquiry form on this page or click the red free quote button below to go to the form. Then, wait for our email. We will send you an exact quote in 15 minutes. Afterwards, complete the payment with a bank transfer transaction, credit card payment or Paypal transfer. Your choice. Upon completion of your project, we will ask you to review and approve the draft soft copy. We value our client’s feedback. If you are satisfied with the translation, we will proceed to send you the final soft copy through email. If you require a hard copy, we will send you one by post. Expect it in a few days. We are a company providing Portuguese translation services and other languages in Sydney. For seven years, we have worked with hundreds of clients and have gained an insight of how to best approach a document translation to satisfy our clients. Our Portuguese translators are capable of providing rapid Portuguese translation services that are accurate and error-free. They have proven time and again that they are capable of producing top quality content in various fields. Whatever field you are in, our Portuguese translators can provide. We choose the appropriate translator to take on your project. We make sure to pair your document with someone who is knowledgeable of the subject matter and can finish the translation with a fast turnaround. If you need a NAATI translator, worry no more! Sydney Translations have NAATI accredited Portuguese translators who can provide translations that conform to Australia’s high standards. We guarantee that your document will be accepted by most Australian authorities requiring NAATI translations. On average, our Portuguese NAATI translators are capable of finishing a document in 2 to 3 working days with the Standard Portuguese translation services. If you are in a hurry, we have Express and Instant Portuguese translation services designed to provide you with your translation in less than 24 hours. Let us know your deadline when you complete our translation quote, and we’ll take you up on your challenge. Sydney Translations is the most affordable Portuguese translation services offering competitive prices for top quality Portuguese translations in Sydney. It can’t get any better than that. Our Portuguese translation services for standard documents are priced at a per page rate starting at $69. On the other hand, business translations are on a per word basis. Complete our translation quote now and receive your detailed estimate within 15 minutes. The language developed in Portugal right after the Roman settlers brought the Latin language there around the third century BCE. 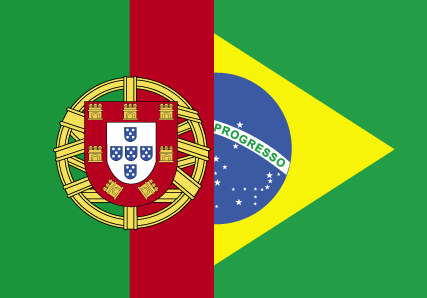 Out of all countries using Portuguese, Brazil has the most number of Portuguese speakers. The Portuguese language is the 7th-most spoken language around the world. In 1290, Portuguese was declared as an official language. Around 2009, the letters k,y and w were added to the Portuguese language because of the English borrowed words. Did we answer your questions? If not, you can get in touch with our customer service representatives via our Live Chat and ask your questions. Our staffs are available 24/7, so you can inquire at any time of the day.